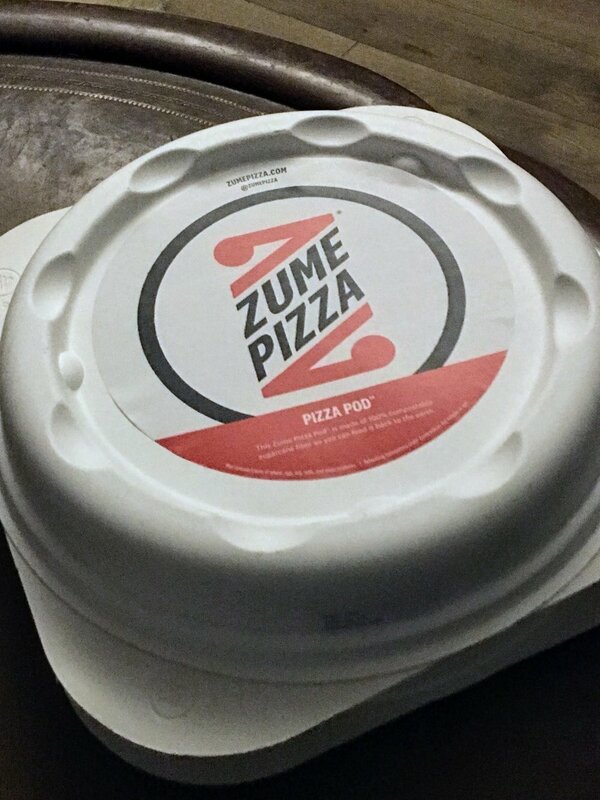 I’ve written about Zume Pizza, and interviewed their CEO. But tonight we (i.e., my son Kevin, who lives in Silicon Valley), finally ordered a pizza, built in part by robots and baked in part in the truck using A.I. Right now, according to the web site, our pizza is in the oven. Good to know. Now the pizza is en route. They don’t want me to tip. Ok, the idea was supposed to be that a truck full of ovens rolls up to your house and pulls the pizza about of the truck. What actually happened is some dude rolled in a Honda Civic and pulled out pizzas out of an insulated bag. He said the truck is parked nearby. So basically the A.I. trucks replace franchise locations. So the speed of delivery was above average — it got here in 18 minutes. The quality of the pizza was average or below average. And the price was really high. So: meh! Champagne Mimosa donuts? Yes, please!